Exceptional shine—our new technology delivers a superior car wash protectant. The shine is so deep; it really looks as if it were hand waxed. 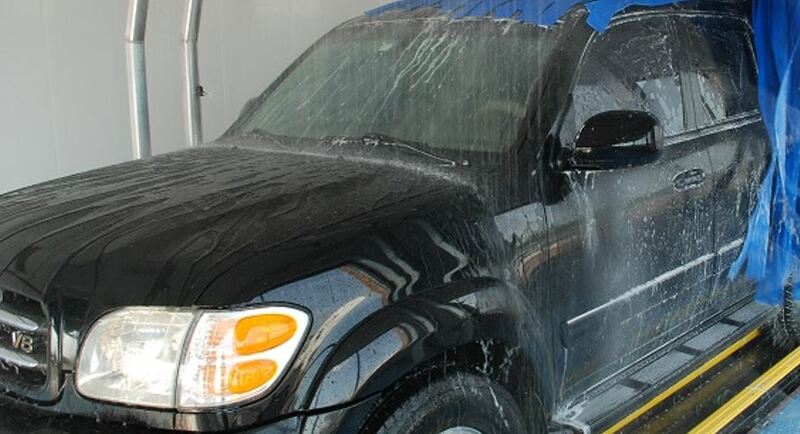 Breaks and Beads—get the best of both worlds: products with a fast beading action to promote sheeting before the car reaches the dryer and reduced beading at the end, to allow the dryer to remove water more efficiently. Rinse ability—using the finest raw materials on the market allows our cars to be virtually spot-free. AquaGuard (TM) HC—A true online car wash protectant formulated for total vehicle protection while you ride. Designed to repel water and deliver the highest glossy shine possible. Offering your customers a premium service that provides long- lasting value. Fresh Sensation HC— Fresh scented premium sealer. High beading and fast breaking accelerates drying. Fresh scent adds to customer appeal. Polyshine—Polymeric based cherry scented protectant designed to maintain and preserve all car surfaces. Provides a visibly high gloss appearance and protective coating . Also great in a self-serve application. Blue Sensation—A self-service protectant offers a deep blue, scented, sudsing protectant. Has great visual appeal to customer. Formulated to provided long lasting, visible, water- resistant, high gloss appearance on all surfaces. Aqua Dry (TM) HC — A premium drying agent creates instantaneous water break so that optimum blower efficiency and a drier car can be achieved. Labor costs will be reduced due to minimum wipe down time. Bead-a-way—Allows water on the surface of car to lift and separate which permits the blower to more efficiently bead water off the car. AquaGuard (TM) Foaming Protectant—Same protection as AquaGuard with added foaming benefits. Offers visual appeal with foaming colors of pink, blue and yellow and a pleasing fragrance. Excellent rinsing properties enhance gloss and drying capabilities. Tri-Foam Sensation—Premium wax product containing high concentration of protectants which offer eye appeal with foaming colors of pink, blue and yellow and a pleasing fragrance. Excellent rinsing properties enhance gloss and drying capabilities. Sensation Foam Polish—Combination of cleaning agents and polymeric silicones to enhance gloss and drying capabilties. Applied through foamers and available in vibrant pink, yellow, and blue with fragrance. Clearcoat Conditioner HC—pH balanced surface conditioner with cleaning agents available in pink, blue and yellow with fragrance. Applied through foamers.